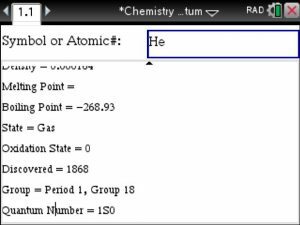 you own a TiNspire then I have GREAT news for you: Finding element information is as easy as pi! 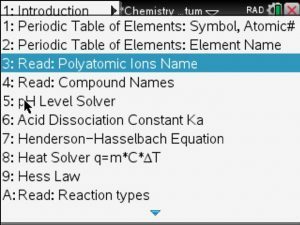 Your apps have really saved the day and helped me understand Chemistry at a deeper level! 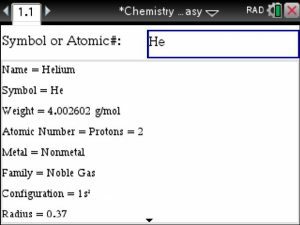 Your apps have really saved the day, when i was in my chemistry class it really helped me understand it at a deeper level. I got a B in that Class i never thought in my life i would get a B in Chemistry. 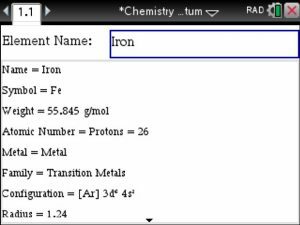 These apps really helped me learn Balancing chemical equations, Helped me learn the periodic table, and helped me learn stoichiometry. 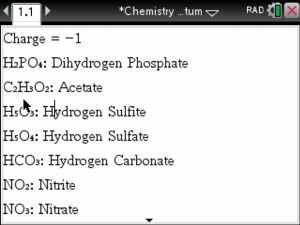 I have switched to computer science and will only need 1 more chemistry class but i was glad i had it. It really saved the day when it came to test time. At 49.95 it is a steal. 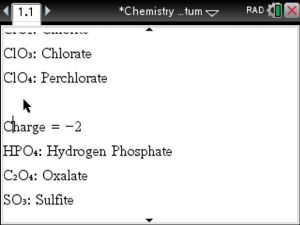 using the TiNspire’s Chemistry Made Easy app. You can find your element by entering its symbol. Alternatively we could have entered the Atomic Number 2. 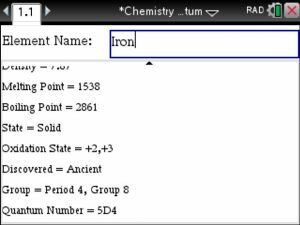 All Element Information are displayed and you can easily scroll up and down. 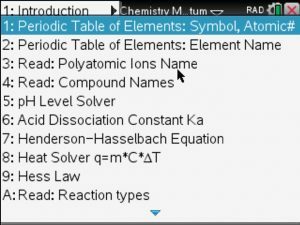 We recently added each elements’ Quantum Numbers. 2) Alternatively you can search by element name. Below we searched for Iron, so we just typed in. This is great for elements whose symbol may have slipped your mind, Fe it is here. 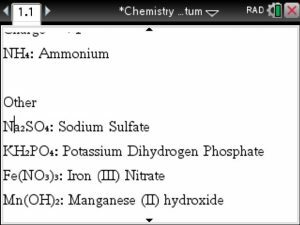 3) Polyatomic Ions can be looked up as well, they are sorted by charge for easy navigation.